Okay – so it is true, we did just experience record breaking warm weather this past weekend. And, yes it has been unseasonably warm the last couple of weeks. However, we all know that the weather changes like the flick of a switch. Today it might be 20C and tomorrow it could be 9C….sorry. So, as the boy scouts say (do they even say this) “always be prepared.” That’s what today’s post is all about…preparedness and saving some energy and money this winter. In Canada, we experience some extremely cold winter weather. Our furnaces, or boilers, click on in late October and run straight through until April! Believe me, I am as guilty as the next person of turning on the heat in my house. My father on the other hand tries to hold out until December 1st! One year, the gas company called to make sure someone was living in the house…he hadn’t turned on the heat yet, and was using so little gas. One of his proudest moments. So, if you wonder where I get my “throw on another sweater” attitude – I come by it honestly. Here’s an easy checklist of things to do to get your home ready for the cooler weather. My sister and her husband are architectural conservators, they maintain historic buildings, they understand the damage that overfull or damaged eavestroughs and downspouts can have on a home. A home’s eavestroughs and downspouts are the primary tools for water removal. 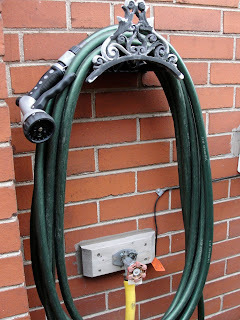 They keep water away from the base of your home, where it will damage your foundation and create a plethora of problems. Hire someone if you can’t reach, or climb up your ladder and clear out all the leaves, bits of shingles and debris that accumulate in your gutters. Our boiler, used for radiant heat, was built in the dark ages! This year we are jumping into the 20th century and upgrading/downsizing to a more efficient unit. You don’t have to go this far…just change the furnace filter. Take the time to remove each floor vent cover and vacuum out the dust, and small toys, that have landed in there…why blow it around all winter? This one you don’t want to forget…not even once. 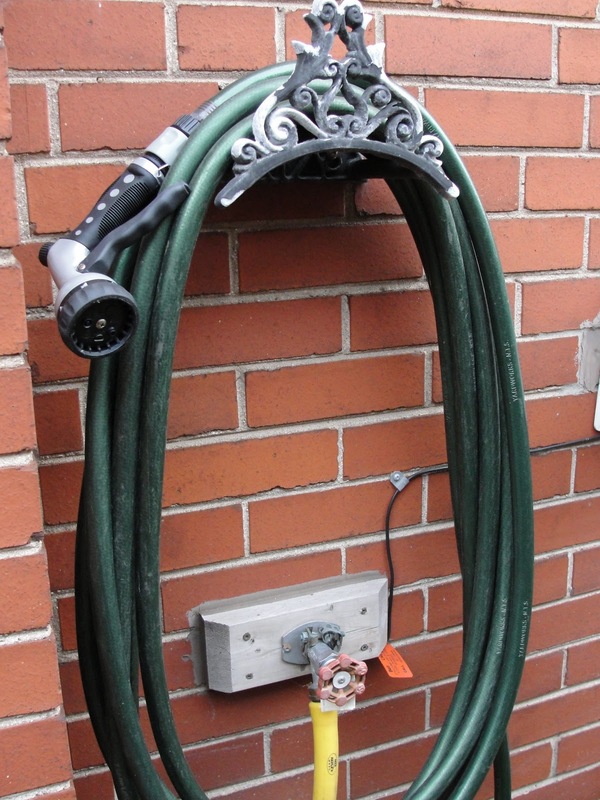 Wind up the outdoor hose and shut off the water…from the inside of your home. Any broken/cracked windows can be fixed. Any large gaps can be filled. Head to the hardware store and pick up some weather stripping for doors. It takes only a few minutes to add those handy outlet insulators to every outlet that is on an outside wall in your home. They really do keep the draft out. Have your fireplace properly cleaned and inspected on a regular basis. And don’t forget to close the damper between uses…it’s like having a window open in your home. Clean the outdoor patio furniture and gardening tools before you pack them away to reduce mold and mustiness. Now is the time to make certain you have all the necessary winter gear. It’s amazing how quickly the mittens are taken off the shore shelves and replaced by shorts…even though it’s still freezing outside! And you can forget about getting a new shovel after the first major snowstorm…too late. Pull out the quilts, duvets and wool blankets..adding another blanket to your bed can help keep your thermostat temperature lower. Now, I’m not saying it’s time to give up on warm weather…it’s just time to start putting together your fall checklist of things to ready your home for the winter. What other things do you do at your house?